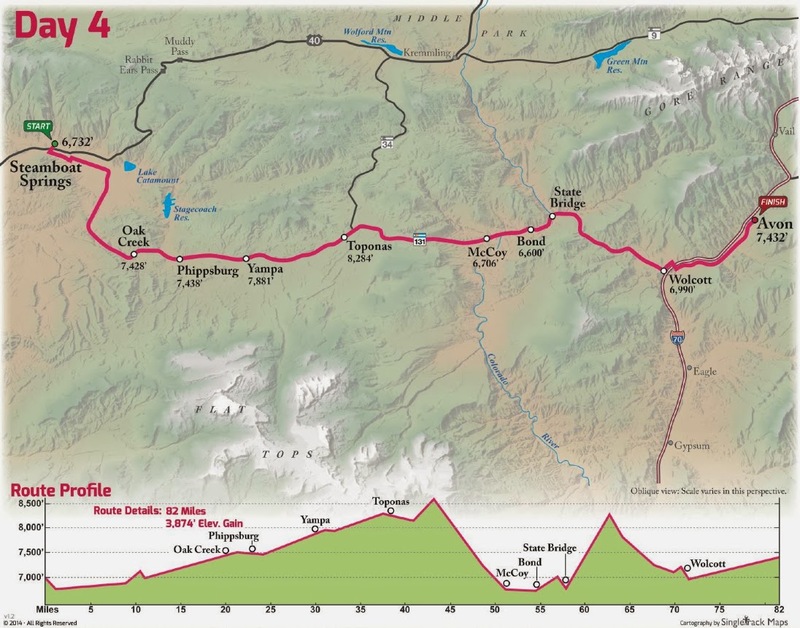 Ride the Rockies 2014 = 473 miles, 28,265′ Elev. Gain. 2,000 riders, lottery system. 89 miles | Berthoud Pass – 11,315 ft.
94 miles | Muddy Pass – 8,772 ft. & Rabbit Ears – 9,426 ft.
75 miles | Battle Mtn. – 9,231 ft., Tennessee Pass – 10, 424 ft. & Fremont Pass – 11,318 ft.
80 miles | Swan Mtn. – 9,520 ft., Loveland Pass – 11,992 ft. & Lookout Mtn. – 7,374 ft.
Includes: hotel, reception, breakfast, celebrity ride on the 7th, massage, dinner, entrance into the real Ride The Rockies, team kit, team photo and gift. All for $2,500 each. If you go, be sure to talk to Ron Kiefel and Chef Biju Thomas - both men are super courteous and friendly. 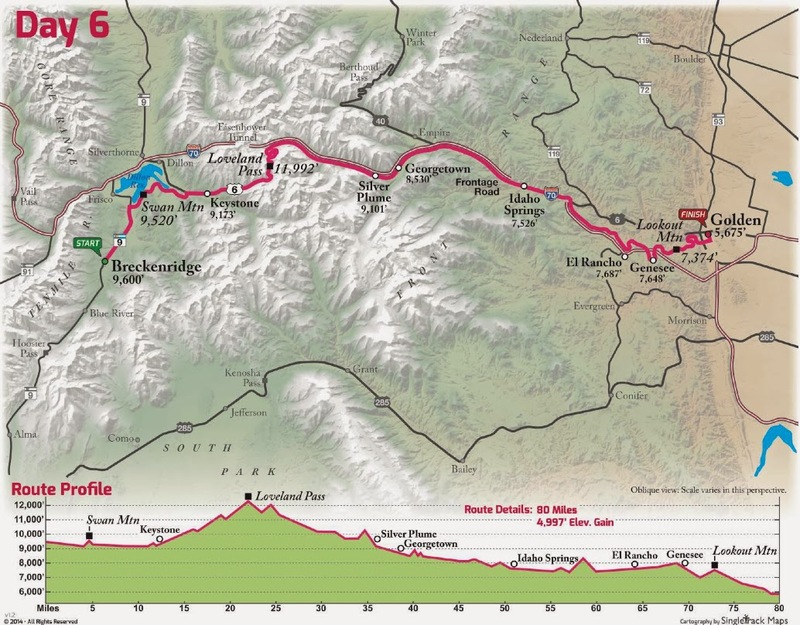 This is a great challenging scenic route for 2014. 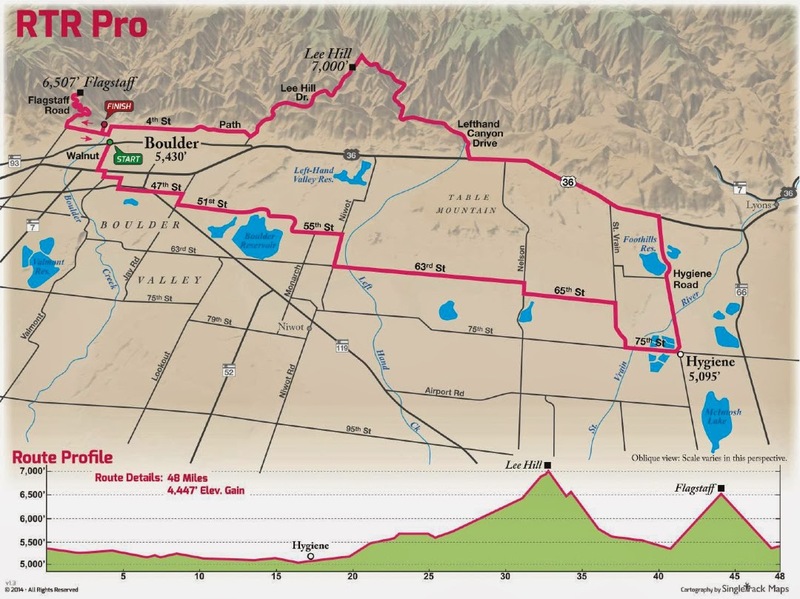 In fact this route is more impressive than the route the pros will ride for the USA Pro Challenge in August. 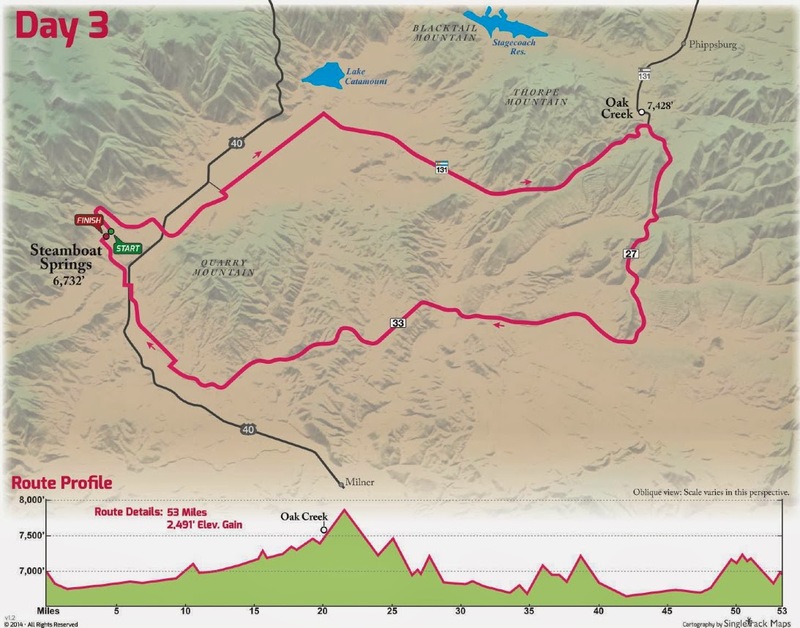 It would only be made better if it too included the area of Gunnison and Crested Butte as the USAPro will this year. 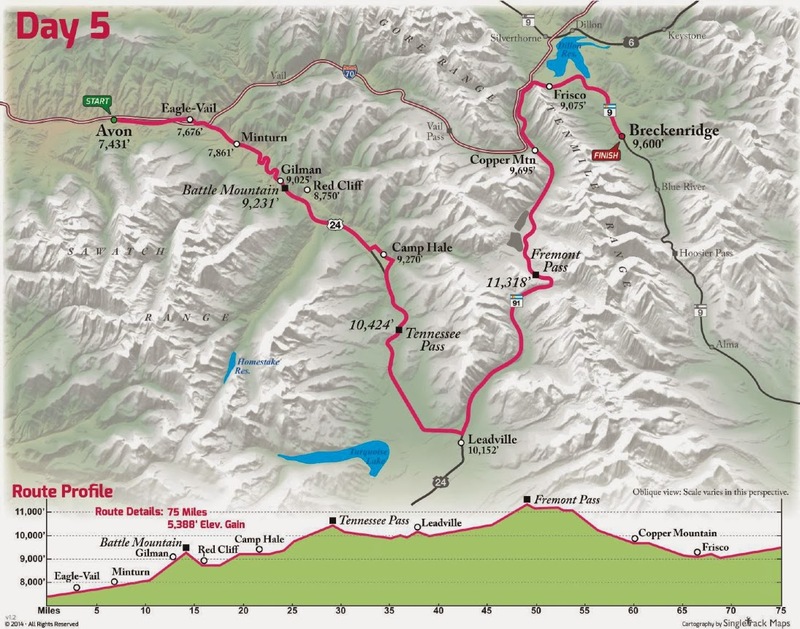 But this route is not doable by the pros because it contains sections of bike paths on several days. 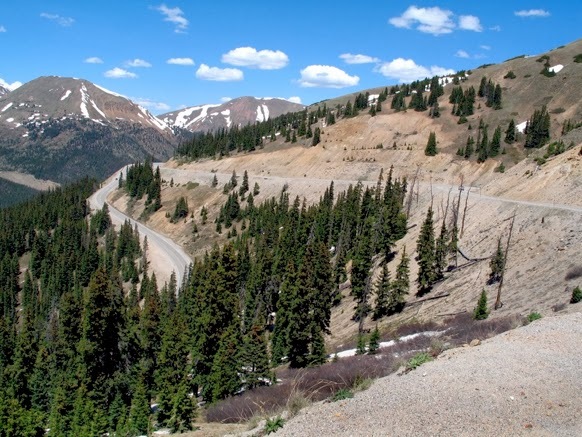 The staff at Ride The Rockies know the mountains and roads of Colorado very well. This year they have planned a consistent day-to-day challenge for cyclists. The start and finish should also be somewhat easier logistically (compared to previous years) for participants from out of state. 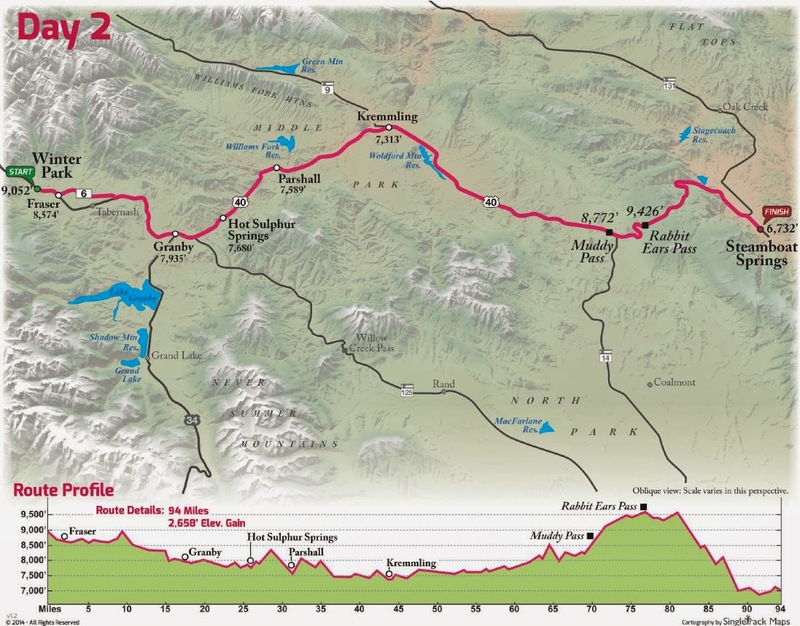 The entire route of the 2014 Ride The Rockies is central to Denver/Boulder and yet riders will quickly find themselves in big mountains with expansive views on Day 1. The mileage is steady every day, which means this is a route requiring excellent training and proper gearing. Bring your "Colorado bike set-up," that means at least a 30 or 32 in the rear and a compact or triple on the front. Yes it matters when riding 89,94,53,82,75,80 miles, day after day, at altitude. Training, good gearing and recovery are key to a successful week in the saddle in the Rocky Mountains. This ride has an impressive list of sponsors and tech support to fund the event and help the riders before and during the event. 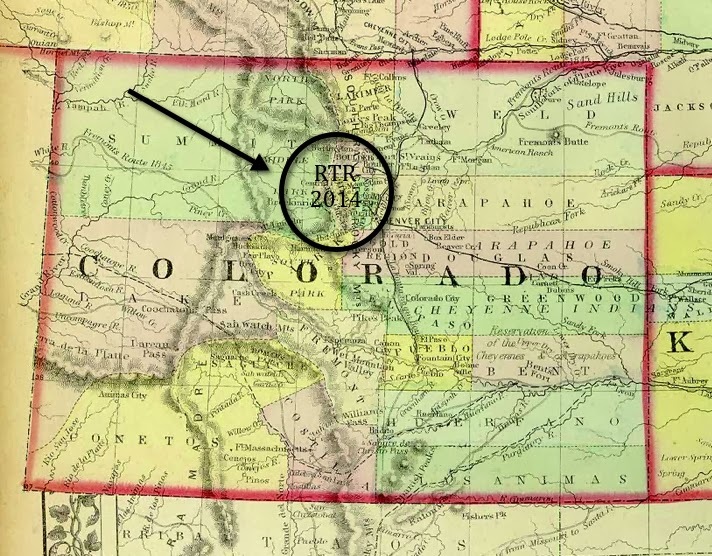 2014 Ride The Rockies route tests riders "right out of the gate." by The Denver Post (primary sponsor). Accommodations vary and riders have a choice of self-camping, catered-camping, RVs, or hotels (see logistics). Every town has plentiful hotels (not always the case in some of the smaller towns in Colorado). The total price adds up quickly when using hotels, but a combination of a good rolling duffle bag of camp gear plus a couple nights hotel should make any rider happy. 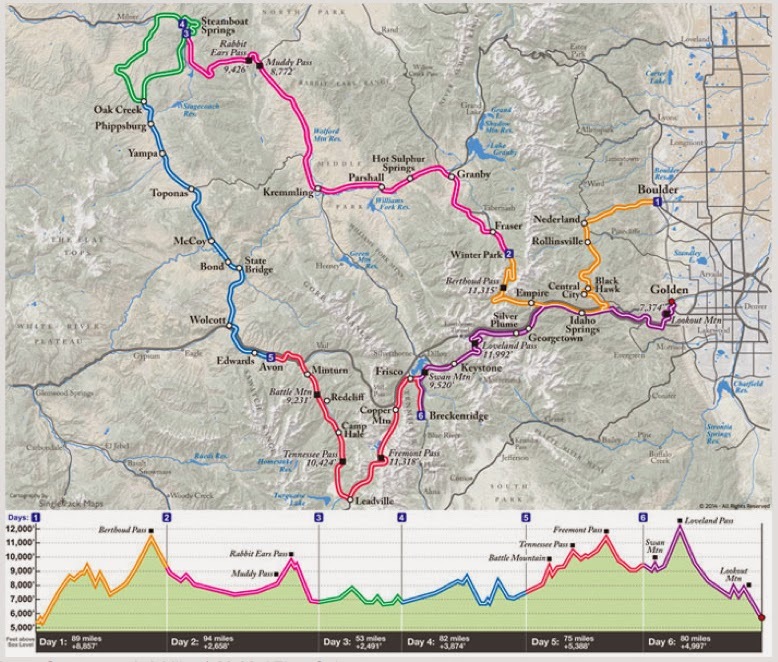 Lots of information about preparing and training for the ride, here: Rider Area of Ride The Rockies. Ride the Rockies facebook page. Official website: ridetherockies.com. 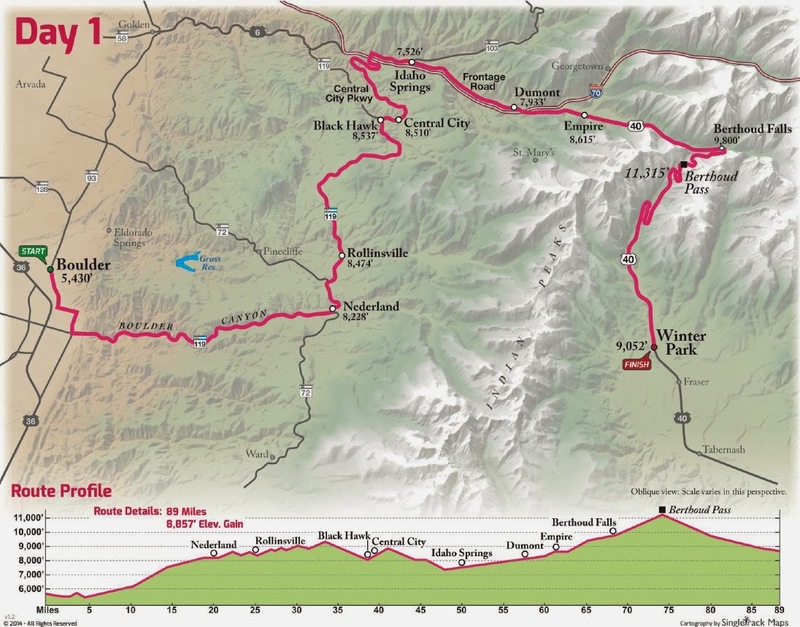 I envy anyone going on this event ride in Colorado in 2014!